Retired Carlton great Andrew Carrazzo featured in new novel dealing with migration in Melbourne. Soon-to-retire Carlton veteran Andrew Carrazzo says playing on the competition's elite midfielders brought out the best in him. 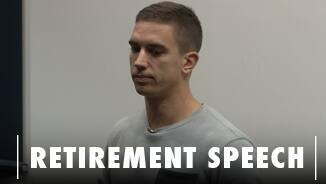 Retiring Carlton great Andrew Carrazzo could switch from navy blue to lime green. In his second year as joint vice-captain, injuries limited Andrew Carrazzo to 14 games. Despite the setbacks, the much-respected veteran featured in 11 of the last 13 games for the year, averaging 20 disposals and six tackles in his tagging role. Off the field, Carrazzo became an ambassador for the Murdoch Children's Research Institute and its Step-a-thon campaign. He also starred in the Blues' entry for the 2014 Virgin Australian Film Festival, which focused on Carrazzo's Italian heritage and family connection to Carlton. 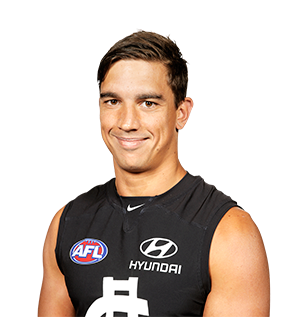 Carlton supporters can look forward to the No.44 – who is not in the leadership group this year - embarking on his 12th season at Ikon Park. Draft history: 2002 Rookie Draft selection (Geelong) No. 5; 2004 Rookie Draft selection (Carlton) No. 2; 2004 rookie elevation (Carlton).